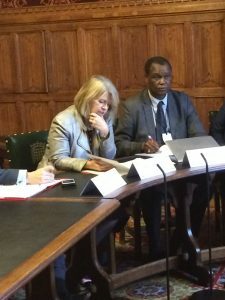 On Tuesday 27 November, the APPG met to discuss the role of UK Aid in tackling the global teacher crisis. 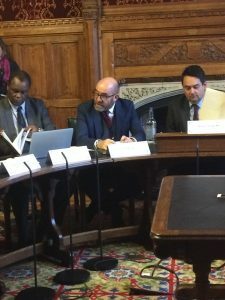 Five guest speakers from across the education sector gave their views to the group and an audience of policy experts, NGOs and government representatives. The minister reaffirmed DfID’s commitment to teaching and outlined three priority areas: first; to reform teacher training, second; to boost teacher motivation and, finally; to work with teachers to reduce school violence. Mrs Baldwin flagged a new £212m initiative to help girls stay in school and highlighted the forthcoming replenishment of the Education Cannot Wait fund, which helps children in conflict zones access education. Andria Zafirakou, the 2018 global teacher prize-winner, brought her experiences as a practitioner to add to the Minister’s remarks. Highlighting some of the challenges teachers face, Ms Zafirakou recalled conversations she has had with new teachers. “I can’t deliver what I am expected to deliver… there is too much marking and too much emphasis on exams… I can’t change lives in the way I want to… I never have time to reflect on what works,” recounted Ms Zafirakou. The teacher warned that without addressing these challenges – both at home and abroad – teachers will move abroad or leave the sector altogether. She cautioned that new ideas and tech often appear and vanish very quickly, not allowing teachers to get familiar with it or embed it in their teaching methods. Lord Knight, chief education adviser at Tes and former schools minister, gave his backing to Ms Zafirakou’s words, adding that tech can be really useful but only when used appropriately. Lord Knight warned that we must always be mindful that different teachers work in different contexts and therefore have different requirements. Mr Sinyolo focused most of his remarks on teacher recruitment and training. He emphasised the problem of teacher shortages and the even more staggering shortage of adequately trained teachers. Currently there are 250m children in school but not achieving basic learning outcomes such as reading and writing. Mr Sinyolo finished by highlighting the need to improve teacher training opportunities, working conditions and dialogue between teachers and policy makers. But he emphasised that nothing can be achieved without money. Finally, Professor Yusuf Sayed brought an academic perspective to the discussion. 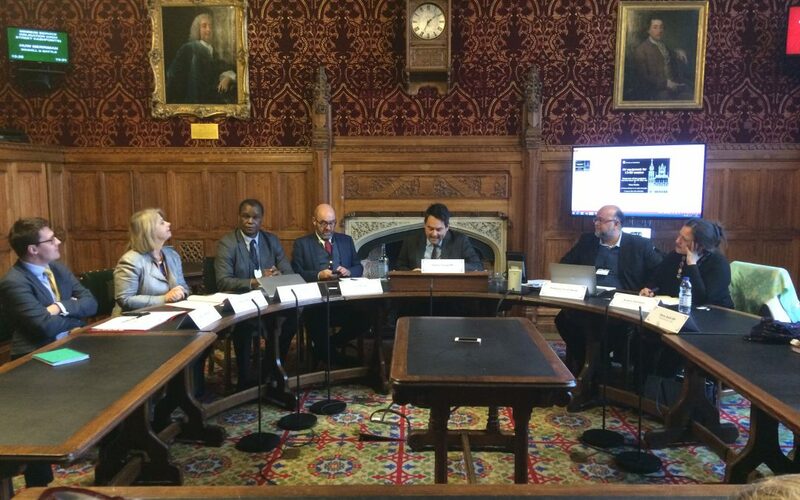 Prof Sayed broke the data down to demonstrate that challenges around teaching are particularly acute in remote areas and areas of conflict and that many issues are more pronounced in secondary education than in primary. Prof Sayed finished by echoing the recommendations made by Mr Sinyolo and adding that there are still big research gaps, notably in teacher training and innovative financing methods, which need to be filled. 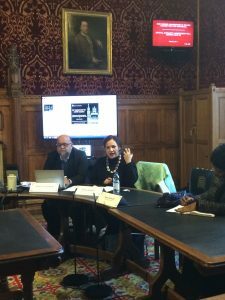 The next APPG event will be on 29 January, 4-6pm in committee room 20, House of Commons. The event will look at the Inclusive Education Initiative that the Secretary of State announced earlier this year. Please RSVP your attendance to tom.guha@results.org.uk.